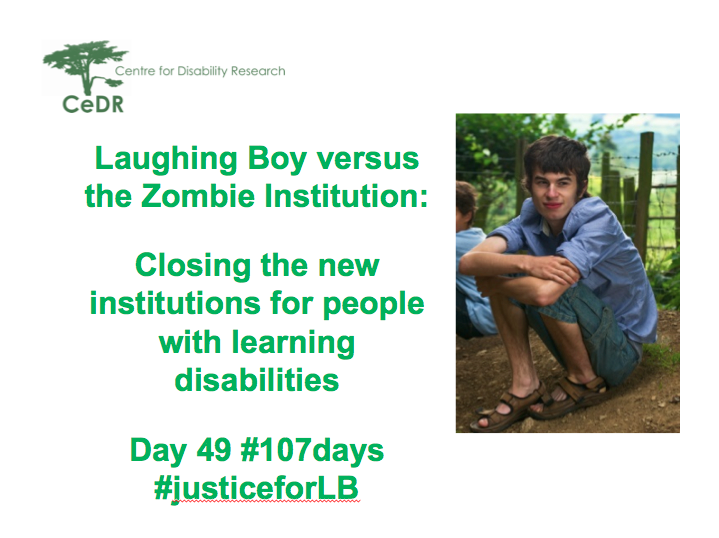 Day 49 was adopted by the Centre for Disability Research (CeDR) at Lancaster University. Hannah Morgan and Chris Hatton, two of our greatest supporters since #JusticeforLB evolved, organised and presented two events, a lecture on Institutional Abuse for first year students on the Contemporary Social Problems module and a seminar by Chris, Laughing Boy versus the Zombie Institution: Closing the new institutions for people with learning disabilities. They live tweeted the seminar and have compiled a storify about the day here. I’ve known Sara from the disability studies circuit going back to the first Disability Studies conference we hosted here at Lancaster in 2003 and always held in the George Fox building in the picture. Since then we’ve met up at different conferences and events and always at the Lancaster Conference. One of the things I really value about disability studies is the sense of community that has developed and the pleasure taken from watching people’s work evolve and develop over time. Sara came to the first conference as a phd student presenting ‘I’m sorry, she’s special needs”: explaining learning disabilities in public encounters. As her blog readers will know she has a particular gift for a snappy title and for writing that is engaging, rigorous and thoughtfully. I started following her blog soon after it started often laughed at the early LB tales and sharing her frustration at how little was offered and how little value attached to the dudes in our life. I saw Sara last year at the Nordic Network on Disability Research (NNDR) Conference in Finland where Sara presented her paper in tweet length sentences. Her mastery of social media was apparent. 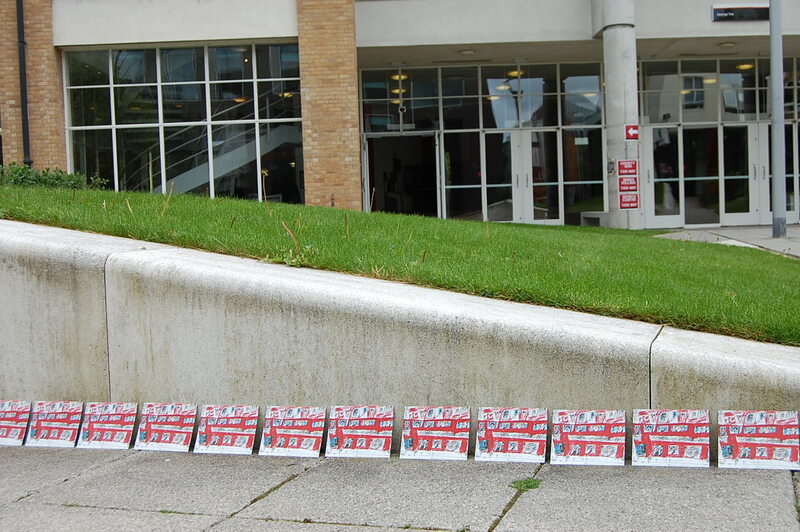 Catching up outside sessions – in May last year – it was clear things weren’t going well for LB and that the unit was operating in a way that devalued her and their families’ contribution to LBs life. Little did we know then what was to follow. In his presentation today Chris Hatton talked about the sparkly spiral of shame where us academics merit fourth place after providers, commissioners and regulators. He highlighted the way in which our lives remain as disconnected from the realities of many people with learning disabilities lives and that we (as a group) are just as craven in the face of (illusory?) access to influence and funding. This is true, all academics working in disability studies or elsewhere with disabled people do need frequent cold hard looks in the mirror. We need to remember why we do what we do. For me, and for many of my colleagues – LB Buses postcards have provoked lots of conversations and many offices in the department are resplendent with a buses or colours postcard. It is what – in the words of another disability studies colleagues – ‘keeps us right’. This entry was tagged academia, academic, CeDR, centre for disability research, chris hatton, connor sparrowhawk, hannah morgan, justiceforLB, lancaster university, sara ryan. Bookmark the permalink.